ETPB spokesperson Amir Hashmi was quoted saying, some 1,700 India Sikhs arrived here by special trains to attend festivities and Baisakhi Mela at Gurdwara Panja Sahib in Hasan Abdal in Rawalpindi (250 km from Lahore). The Sikh pilgrims will be celebrating the auspicious day with the Sikhs and Hindus hailing from Pakistan at Gurudwara Panja Sahib in Rawalpindi district. As per the sources, around 1,700 Sikh pilgrims from Indian arrived in Pakistan on April 12 to laud the auspicious Baisakhi festival at Gurudwara Panja Sahib in Rawalpindi district. A spokesman of ETPB who is responsible for looking after the holy places of minorities in Pakistan, Amir Hashmi was quoted saying, “Some 1,700 India Sikhs arrived here by special trains to attend festivities and Baisakhi Mela at Gurdwara Panja Sahib in Hasan Abdal in Rawalpindi (250 km from Lahore).” The Sikh pilgrims were greeted by Tariq Khan, Evacuee Trust Property Board (ETPB) Secretary at Wagah railway station. Sikhs were also welcomed by Pakistan Gurdwara Parbandhik Committee president Sardar Tara Singh and other officials. ETPB Secretary Tariq Khan was quoted saying, “Rangers and elite force police personnel are deployed for the Sikh pilgrims’ security, he said, adding that all other arrangements including accommodation, medical services, trained doctors, currency exchange and free food have been made along with fool-proof arrangements for the Sikh pilgrims. One of the Sikh leaders amongst the pilgrim Sardar Gurmeet Singh urged for more peace and people-to-people contact between India and Pakistan. He also thanked for the love they the Sikh pilgrims receive from the people of Pakistan. 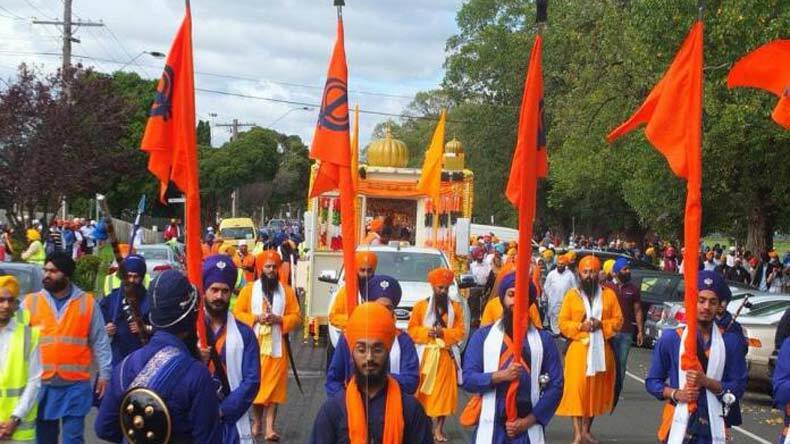 With a huge number Sikhs and Hindus being a part of the auspicious day, the event is scheduled to be held on April 14. The pilgrims will be leaving for India on April 21 after visiting the other holy places like Gurudwara Janamesthan Nankana Sahib and Dera Sahib in Lahore.